Happy Halloween, Buds! Halloween lands on this terrifying Tuesday and if you’re like me, you celebrated all weekend long. Now that it’s back to the work week & back to the budget, here are a few ideas for cheap thrills while you chill at home on the 31st. Spend just a few dollars for a few hours’ worth of entertainment! Check out your local grocery store or hardware store for a last-minute pumpkin. Keep costs low by using a sharp kitchen knife and metal serving spoon to cut and clean out your pumpkin. Recycled paper bags and newspaper work great for containing the mess. The added bonus?! Making & eating those yummy (and healthy) pumpkins seeds! Baking pumpkin seeds can be super simple. 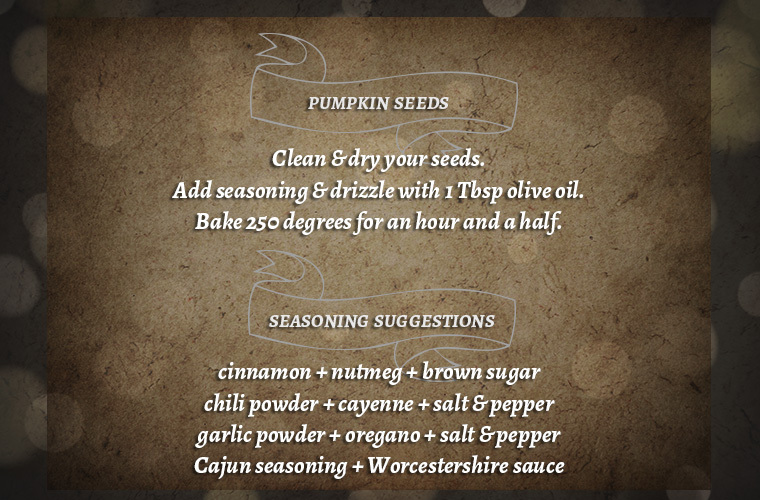 Follow these not-so-scary instructions and season them up with any of your favorite spices you already have at home! If you’re not interested in getting pumpkin guts all over your kitchen, pull out paints and let your pumpkin be the canvas! Need a pumpkin carving playlist? Check out this spooky soundtrack the buds at Soul Flower put together. ‘Tis the season for cider, so why not enjoy a steamy mug as you chill out on all Hallow’s Eve? Slice up an apple and orange, then toss them into a pot with your cider. Sprinkle in a little cinnamon and stir, bring to a boil, then let simmer. Spice it up a notch by adding a splash of your favorite “boos”. There are recipes out there for whisky, rum, bourbon, or vodka, so pick your fave and sip responsibly. Monster movie marathon? Yes, please! Whether you own a few freaky flicks, rent thru Redbox, or stream online, nowadays there are tons of options when trying to access your favorite Halloween movies! 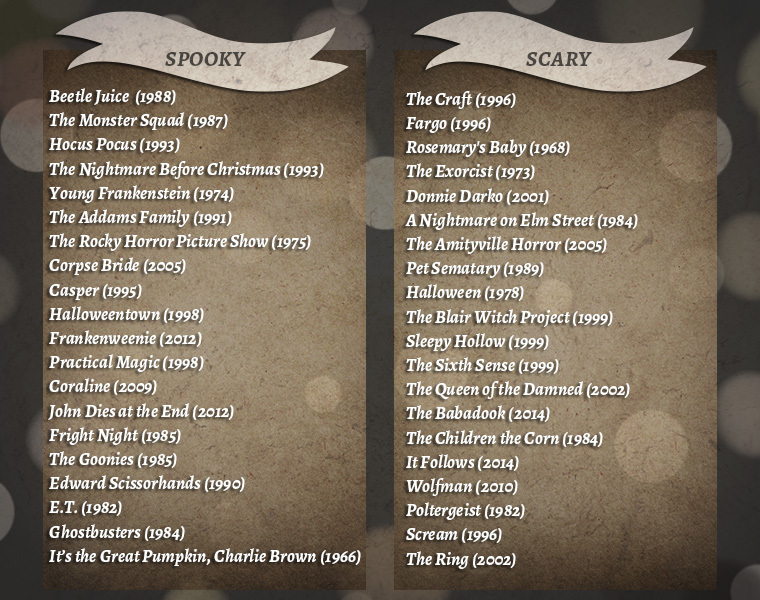 Here’s a handful of our favorite spooktacular and downright scary films. Feeling a little batty? 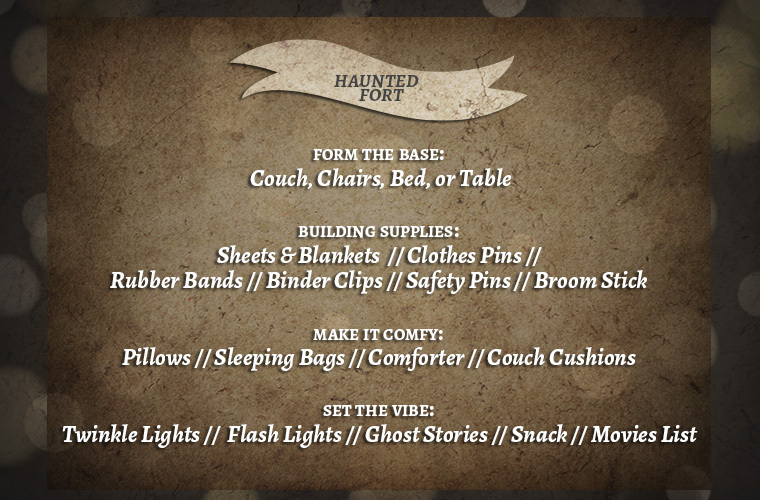 Why not build a “haunted” fort to cozy up and watch movies in? Here’s a quick list of supplies to pair with your creative eye! Invite a few ghosts and ghouls over to share in the fun! 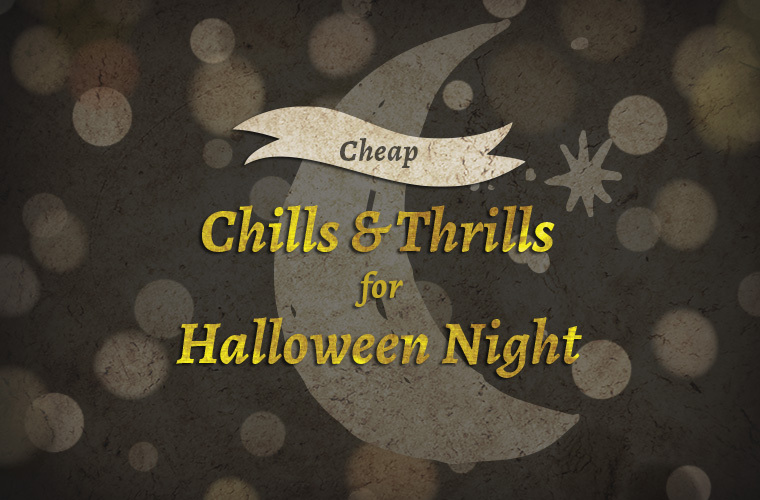 Make it a comfy costume theme to really bring out the chill vibes. Who doesn’t love a good excuse to wear pj’s while they eat, drink, and be scary! « Which is the Best Bralette for Me?